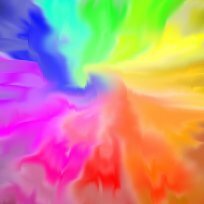 Colour therapy is a subtle non-invasive therapy making use of the healing energy contained within the visible rays of colour. Colour therapists introduce the optimum balance of colour energies into the human organism in order to promote harmony and balance between the body, mind and spirit. Only when this balance occurs are we able to work towards a state of perfect health. Colour therapy is at present a complementary therapy, which works well with many other methods of treatments. There are, however, many cases where colour therapy has worked while other methods of treatment have been ineffectual. You do not have to be ill to benefit from colour therapy, as we are all striving towards wholeness and perfect health. A colour therapist can use colour to balance energy, aid creativity and learning, release blocks and alleviate physical, emotional and mental conditions. Colour therapy helps people to understand their needs for certain colours, and show them how to use these colours for healing, relaxation, inspiration and protection. Colour therapy is now used extensively in Asia, Europe and America as a complementary treatment for many physical, emotional and mental problems. These include ailments such as asthma, arthritis, nervous and mental disorders, depression, eating disorders, skin diseases, digestive ailments, blood and circulation problems, fevers, rheumatism, shock, for the relief of pain and as part of the treatment for many serious illnesses such as paralysis, multiple sclerosis, M.E. cancers and AIDS. Colour therapy has been used as a cure for leprosy in India using only a combination of diet and colour bandages. Colour treatments can speed up recovery after an illness or an operation. Hospitals in both the UK and America are now using certain colours for the decoration of the wards to speed up recovery, with very positive results.